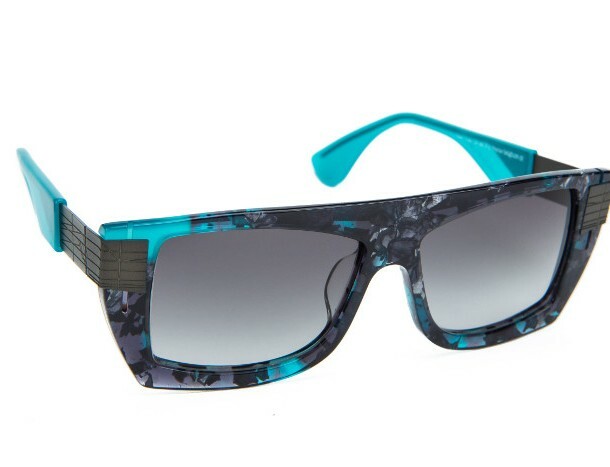 Theo by Tim Van Steenbergen is a special line of sunglasses. Tim Van Steenbergen and his grandfather, architect René Van Steenbergen, were very close. Tim took this artistic legacy as inspiration for a new collection of sunglasses. Theo is known for using crazy colors and bold contrasts. Although they have incorporated color into Tim’s designs before, theo wanted to take it a little further this time. Tim Van Steenbergen was instantly in favor of the idea and promptly designed 6 new models. The influence of the modernist buildings of his grandfather’s generation is pronounced in these glasses. Each model is available in 8 color combinations. However, the two acetate plates have not been adhered to each other symmetrically, but rather in a geometric pattern. This effect creates pleasing color details. Read more about how the architecture of Tim’s grandfather influenced each pair here.